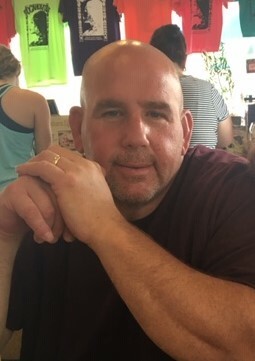 Brimfield - Michael E. Beaudry, 49, died unexpectedly at Harrington Memorial Hospital on Tuesday, November 27, 2018. Michael is survived by his wife of 27 years, Andrea (Norton) Beaudry, whom he married June 7, 1991. He is also survived by three sons, Jonathan, Nicholas, and Benjamin; three daughters, Samantha, Elizabeth, and Jillian; his granddaughter, Aubree; his parents, Francis H. and Dorothy M. (O'Keefe) Beaudry, Jr. of Warren, MA; his brother, Francis H. Beaudry, III of Warren, MA; and many aunts, uncles, and cousins, and friends. He was predeceased by his sister, Maureen H. Beaudry. Michael was born September 6, 1969, in Ware, MA. He graduated in 1987 from the former Marianhill Central Catholic High School in Southbridge, MA. He retired as a Captain-Intelligence/SRG Coordinator from the State of Connecticut's MacDougall Walker Correctional Institution, in Suffield, CT, where he worked for 21 years. After his retirement, he served for 4 years as the Program Director of the Cheyney Halfway House in Hartford, CT. He also served as a school suspension teacher at Tantasqua Regional High School. Michael's greatest love was spending time with his family. He found many ways to give of himself. Michael had a unique ability to positively impact anyone who crossed his path. Michael's funeral Mass will be celebrated Saturday, December 1, 2018, at St. Mary's Church, 263 Hamilton Street, Southbridge, MA at 10AM (PLEASE MEET DIRECTLY AT CHURCH). Calling hours will be Friday, November 30, 2018 at Sansoucy Funeral Home, 40 Marcy Street, Southbridge, MA, from 4-7PM. Burial will be private at a later time. In lieu of flowers, the family asks that you please consider making memorial donations in Michael's name to the Shriners Children's Hospital, 516 Carew Street, Springfield, MA 01104.